What does this mean? After much consideration as to the intended use for our tents, not to mention the Cornish weather, we chose to use the best available technology on the market today. 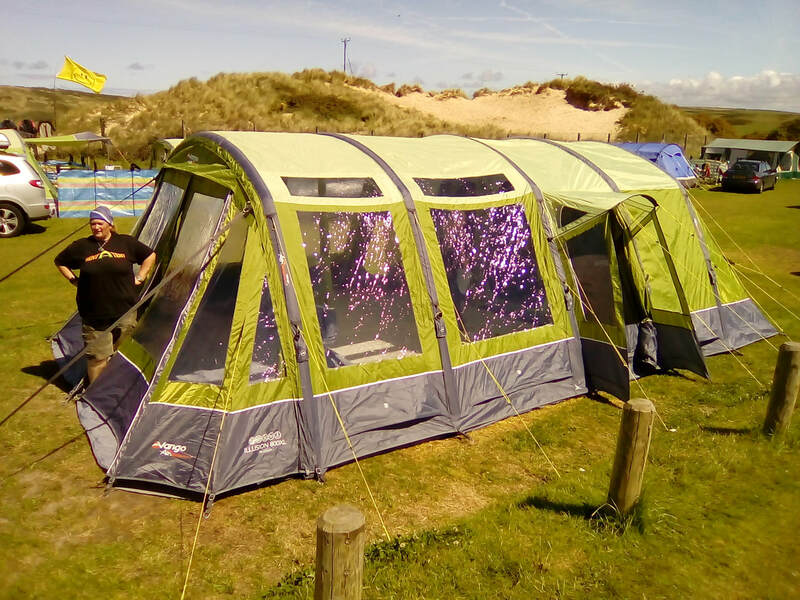 The Airbeam tents have no poles (less to get broken) and endure strong winds better (essential for the Cornish coastline). They are durable enough to ensure top quality protection time and time again. Whether you have an airbeam or a pole tent we can assure you they are all very high quality and will withstand harsh weather, still keeping you warm and dry. We did have a rough field test for part of the season last year, 50mph winds and heavy rain! We are pleased to say all our customers were warm and dry and our tents were still standing at the end of it all. 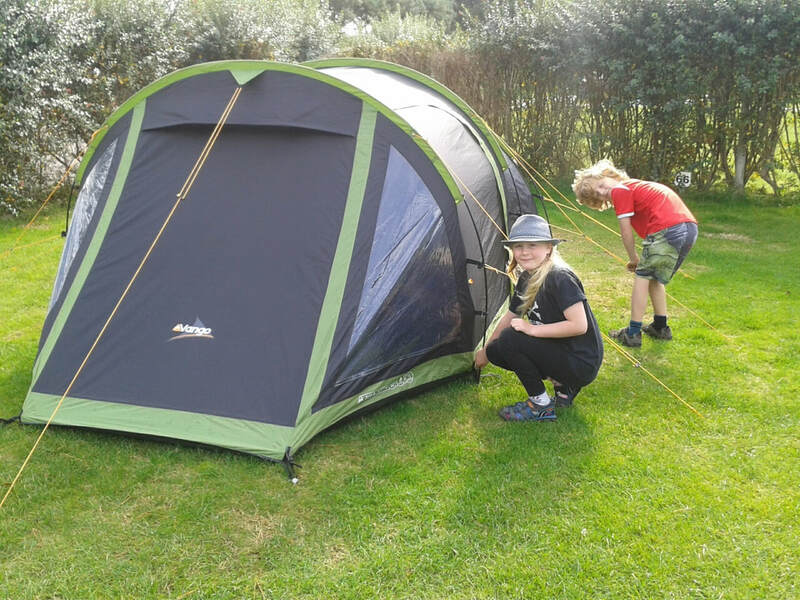 We offer a range of tent sizes, from 3 man tents for that quick weekend away right up to large 6/8 man family sized tents for that family holiday in Cornwall (as well as 4/5 man tents in between!). We pitch them for you at your chosen campsite, saving you the hassle and bother when you arrive to start your holiday. Your comfort is our priority, all our tents (and equipment) are selected with this in mind.